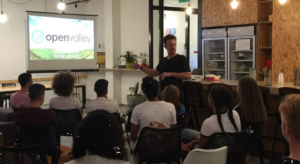 Rainmakers is a program set upon encouraging business innovation and entrepreneurship among students, based on cooperation between Sci-Tech Israel, OpenValley, and Beta. 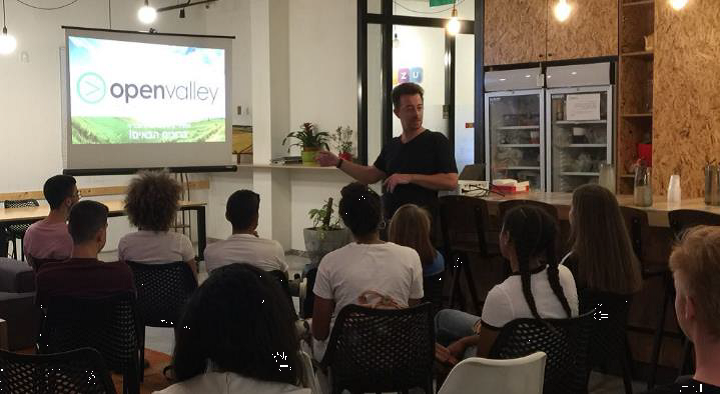 The goal is to prepare the upcoming generation of the State of Israel for the world of tomorrow and to empower them in the areas of entrepreneurship and innovation from the perspective of the community and the environment. The program was designed and is delivered by experienced industry and hi-tech entrepreneurs, creative and marketing experts who focus on the practical aspects of entrepreneurship. The program includes seminars, lectures, meetings with entrepreneurs and hands-on activities. Regina, a student at Sci-Tech Tiberias, describes her experience: “Unique and cool . . . it gives us the means to think with motivation, different ways to observe, world views, points that we were unaware of or did not think of till now.” Itiel, another student from Sci-Tech Tiberias, adds: “I am collecting information and maybe I will develop something using what I have learned here. I have gained general knowledge from the course, life lessons and the ability to think and develop – enterprisingly, technologically and business-wise.